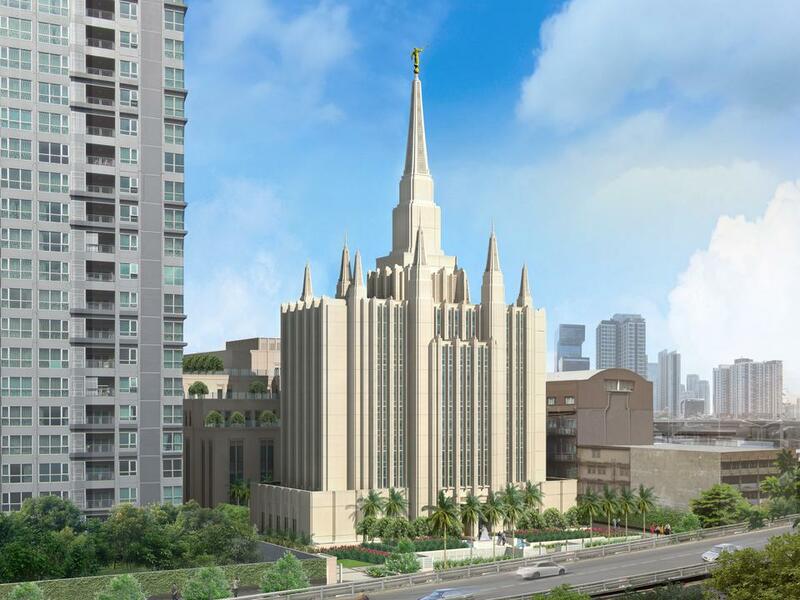 A detailed artistic rendering of the Bangkok Thailand Temple of The Church of Jesus Christ of Latter-day Saints was released today. The rendering features a majestic 44,405-square-foot, six-story temple with multiple spires reaching heavenward. The temple will be built with the finest materials and workmanship available and be aesthetically pleasing to the community as a religious house of worship. An additional 91,370-square-foot religious building will feature two religious meetinghouses, a service center, seminary and institute facilities and mission offices and housing. Substantial underground parking is also planned at the site located on Petchaburi Road in the center of a residential and business area in Bangkok. The Bangkok Thailand Temple will be the first in this Asian nation and will serve members of the Church in Thailand and all of Southeast Asia. Before the temple was announced in April 2015, the nearest Church temple was in Hong Kong, over 1,000 miles away. There are currently 159 operating temples worldwide with 23 temples announced or under construction. Construction of the Bangkok Thailand Temple is expected to take between three and four years.